One Eternal Day: The only remaining evil? Now, health fascism is not political correctness; they are different animals, but they share some genetic code. They both carry stiff strains of puritanism and sanctimony. Think about it: just as with political correctness one is ordered not to use certain words because they might make someone else feel uncomfortable, so with what we might call “health correctness” one is not allowed to smoke—even, now, in Central Park!—just in case a whiff of it might be detected by another human being. Indeed, I am convinced that it was the implementation of these kinds of strict anti-smoking rules, spearheaded by Mayor Bloomberg himself in New York City (although we now see them in many locales), which tipped the balance in favor of the health correctness movement. Momentum counts for a lot in these matters. Once you have allowed the government to prohibit what was previously perfectly normal and legal behavior in the name of protecting people from theoretical health consequences, you have opened up a very large hole in the fabric of personal freedom. 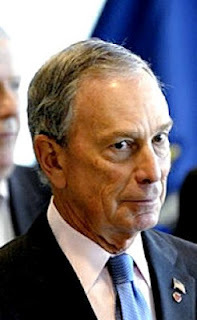 It was nothing from there to progress to the variety of other health-correctness-dictates which have emanated from New York’s preeminent nutritionist and nurse, Mayor Michael Bloomberg. Back when I was a little lad, my parents didn’t smoke, but ashtrays were kept in the house to be offered to visitors who did. I learned that the proper answer to someone asking, “Will it bother you if I smoke?” is “Of-course not! Go right ahead.” It had something to do with courtesy, hospitality and tolerance of each others’ vices (we do all have them, after all). Of-course, courtesy was also expected from the smoker, too—the asking of permission being part of it, and the avoidance of smoking to such an excess that it could not but annoy others. It was always, perhaps, an uneasy kind of détente, but it was based, as I said, on a mutual understanding of human foible and a willingness to accommodate one another cheerfully. There is no accommodation anymore. Now we use the law to take care of these things. We are so much more civilized. So, you’ll forgive me, I hope, if Mayor Bloomberg’s ban on Slurpees seems to me like only a very minor advance in the all-consuming war on potential ill-health. This war will finally end in total victory for those on Mayor Bloomberg’s side when we are all utterly prevented from doing anything which might possibly injure our health, thus relieving us of any remaining reason to go on living.